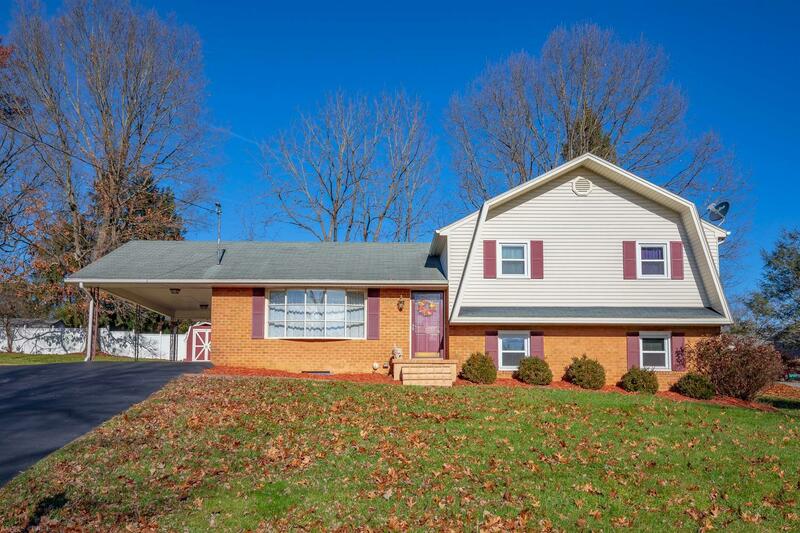 Beautifully cared for home in the Sherwood Forest neighborhood. This brick split level is on a corner lot near the end of the cul-de-sac, offering great privacy but easy access to downtown. A large deck/patio area is the perfect place for entertaining or relaxing. Inside is a well designed home with an over sized master bedroom complete with an area for an office / exercise room / or on suite nursery. The lower level makes a great place to enjoy the family, watch movies/games, or to use as a rec room. The home has great character and charm, definitely a must see! Directions: Heading North On I81 Take Exit 114 To Christiansburg. Left Off Ramp, Travel 1.4 Miles And Take A Right On Roanoke St. Travel .76 Miles And Take A Right Onto Chinquapin Trail. Property Is Approximately .43 Miles On The Right, See Sign.